Published: Jan. 19, 2015 at 08:04 a.m. Updated: Jan. 19, 2015 at 04:32 p.m. The New England Patriots find themselves amidst another controversy following their 45-7 pummeling of the Indianapolis Colts. 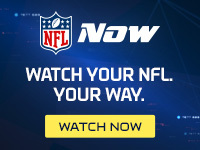 NFL Media Insider Ian Rapoport reported Monday, via NFL spokesman Michael Signora, that the league is looking into the apparent use of overly deflated footballs by the Patriots during their win. Midway through the game, a ball was taken off the field and out of circulation, Signora told Rapoport. WTHR-TV's Bob Kravitz first reported the news Sunday night. Per the NFL rulebook, game balls must be inflated with between 12.5-13.5 pounds of air. Each team must provide 12 primary balls for testing prior to the game. NFL VP of officiating Dean Blandino told NFL AM on Monday that, "it's not unheard of for a ball to be removed from circulation and then tested during the week for whatever issue there was." Patriots quarterback Tom Brady dismissed the "ridiculous" reports during his Monday morning appearance on WEEI-FM. "I think I've heard it all at this point," Brady laughed. "That's the last of my worries. I don't even respond to stuff like this." When asked about the allegation during his Monday conference call, coach Bill Belichick said Monday morning was the first time he heard about the matter. "We'll cooperate fully with whatever the league wants, whatever questions they ask us," he added. Deflating balls is presumably done to increase grip. The most recent ball deflating news came from the college-level at USC in 2012 -- then under Lane Kiffin's watch -- when a student manager was dismissed after it was alleged he deflated balls during a contest. Kravitz reported that if the NFL confirms deflated footballs were used to gain an advantage, it could cost the Patriots draft picks. In 2008 the Pats were heavily fined and docked a first-round draft pick for what is now known as "SpyGate." In advance of Super Bowl XLIX, there will be plenty talk about "DeflateGate."